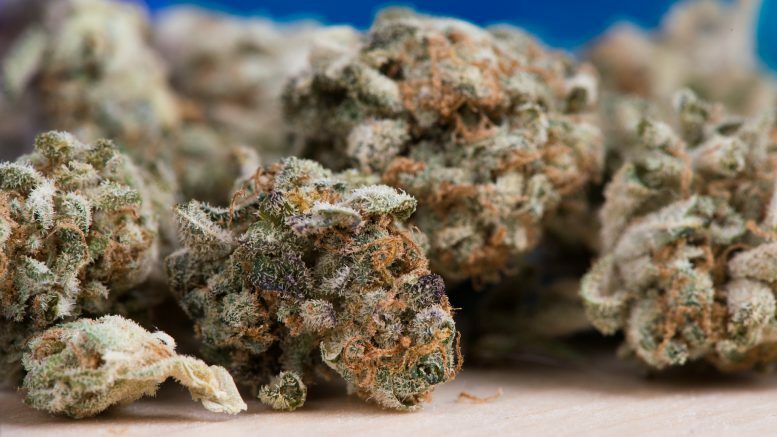 Voters in the city of Fairbanks, Fairbanks North Star Borough and Kenai Peninsula Borough overwhelmingly defeated local initiatives that would have banned commercial marijuana in voting Tuesday night. Opposition was overwhelming in each of the municipalities with 64 percent of Kenai voters, 70 percent of Fairbanks borough voters and 68.5 percent of city of Fairbanks voters casting votes against the propositions. The propositions each sought to ban local commercial marijuana businesses, which would have brought an abrupt end to marijuana cultivation and sales in some of the state’s busiest pot-growing areas. The passage of any of the propositions would have likely undercut the commercial marijuana business on the road system, causing shortages in the state’s largest city. KTVA reported on the issue’s potential impact in the Anchorage in the run up to the election. The results aren’t entirely surprising for the Fairbanks area, where the statewide ballot measure legalizing marijuana was broadly popular during the 2014 elections. The marijuana initiatives in the Fairbanks area were the most popular issue or race, with more combined votes cast on the city and borough initiatives than any borough assembly race. Turnout was also much higher than recent trends at 25.3 percent according to the latest numbers. Attitudes have appeared to shift, however, in the Kenai Peninsula Borough, which generally voted against Ballot Measure 2 in 2014. The Soldotna City Council also recently rejected an ordinance that would have extended its two-year moratorium on marijuana indefinitely, which means the commercial marijuana industry will be able to operate within Soldotna city limits starting Jan. 1. It’s also a defeat for Marijuana Control Board chairman Peter Mlynarik, the Soldotna police chief who helped gather signatures for the Kenai proposition. Tuesday’s local elections proved to be the first big political test of commercialized marijuana since stores opened late last year, and the resounding defeat gave supporters plenty to celebrate. Be the first to comment on "Anti-pot business initiatives go up in smoke in Tuesday local elections"